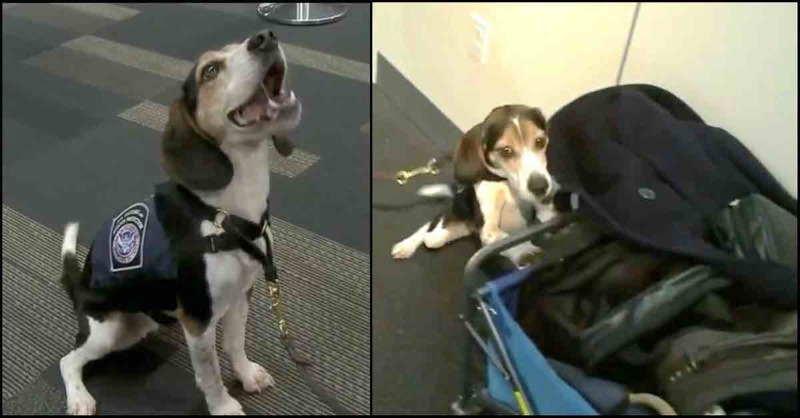 Skipper is an 8-year-old beagle mix who works at the San Francisco International Airport – and apparently, he’s the best of the best. Skipper’s job is to locate any produce being carried in suitcases that could bring dangerous pests into the United States. Just before Thanksgiving, Skipper located a banana, thus marking his 20,000th seizure and shattering the previous record that had been set by another dog at 14,000 food seizures. There’s no question that this is what Skipper is meant to do, but it’s not what he was born doing. Before Skipper worked at the airport, he was a lonely stray who was found living on the streets of Michigan. After Skipper was rescued, he started to training to become a sniffer dog. Even though Skipper’s forever home isn’t the traditional kind, it’s still perfect for him because he’s happy, he’s healthy, and he’s silently helping to keep Americans safe every day.